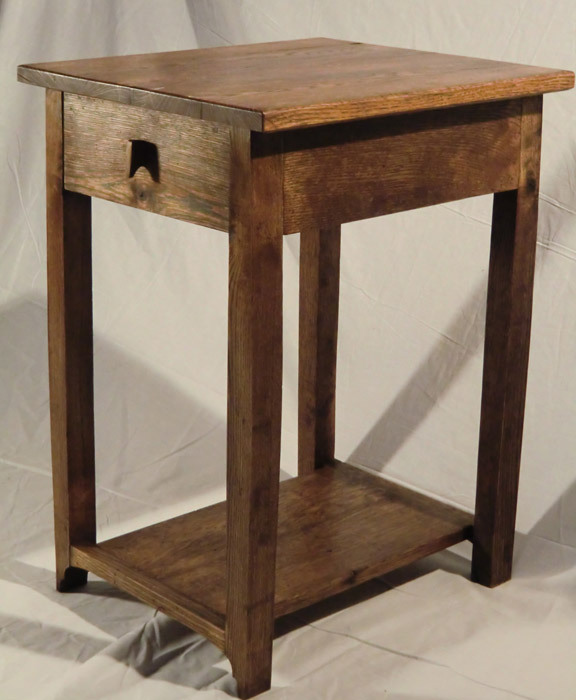 White oak barn beams from a 19th century Central Ohio barn were resawn and worked by hand to create this nightstand. In fact, the resawn beams used here were scraps containing large round and rectangular holes throughout, results of the old joinery used in the barn construction. These scraps were destined for the burn pile without our willingness to work around the holes, resurrecting the wood and creating this piece. We reminisce the previous use of the wood by retaining one old mortise in the back of the drawer, offering a gentle reminder every time the drawer is opened of the wood's previous pastoral life. 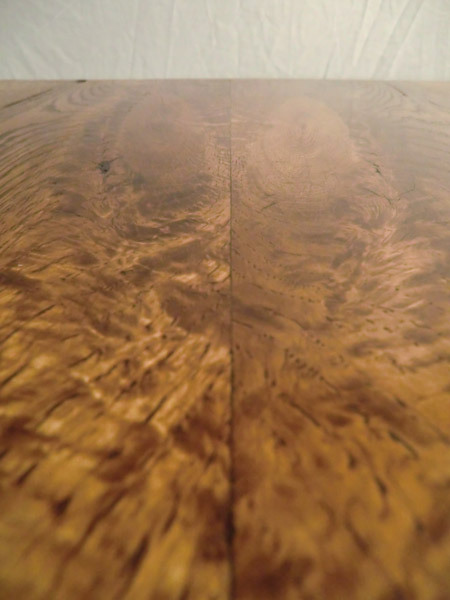 Quiet and subdued, this nightstand is symmetrical, with the top, legs and bottom shelf all bookmatched (meaning the newly cut boards from the resawn beam were used opposite each other so that the grain pattern of those boards is nearly identical). This subtle, quiet symmetry is appropriate for a nightstand, sitting quietly beside you for a third of your life, in relaxation.